If you’re interested in learning more about the project but can’t attend the showcase or visit Kavarna in October, feel free to go to FLOW’s contact page to ask about mindful movement, body-based writing or FLOW’s signature class for mothers M-Bodied. Motherhood: seen, heard, moved is a three-part practice for mothers at any stage to be seen through images, heard through words and moved by her body. By photographing the truth, writing a mother’s reality, and moving feelings through her body, Motherhood: seen, heard, moved invites mothers to showcase and embody the sacredness of motherhood. Virginia Kendall Reese and Caroline Gebhardt created Motherhood: seen, heard, moved when they discovered their mutual desire to honor the truth of the motherhood journey. They decided to combine their artful livelihoods of photography, writing and movement to truly reflect what it means to be a mother, as well as help mothers engage deeply in their journeys. 1) Mothers of any age and stage from pregnancy, to moms of preschoolers or teenagers, to grandmothers. 2) Participants should be willing to be photographed at home during their most authentic mothering moments: the tender, the raw, the dirty, the pain, the joy, the light, the dark, the laughs and the mundane. 3) Participants should also be committed to a short daily writing assignment and movement meditation. 2) 15 minutes (or less!) of a daily writing assignment for four weeks. 3) 5-minute daily movement meditation for four weeks. As the project unfolds, we will reveal in more detail our plans to showcase the photography, words and movement. a) Why do you want to participate in this project? c) How will you hold yourself accountable to the daily writing and movement assignments? What challenges do you foresee, if any, and how can we help you participate and commit fully? d) Your location. Please know we will do our best to accommodate all participants as time/travel allow. 2) Once we receive your email answering the four items above, Virginia will contact you to schedule a photography session. She is willing to come at any time or hour as long as she has some advance notice. If it’s bedtime or 3 am, she will make it work. There is no cost to be photographed and you will have digital copies of the images that are used in the final project. If you have questions about the project or would like more images from your time spent with Virginia, she can provide you with more details. 3) Once scheduled with Virginia, Caroline will email you a writing assignment and a movement meditation each week for four weeks. 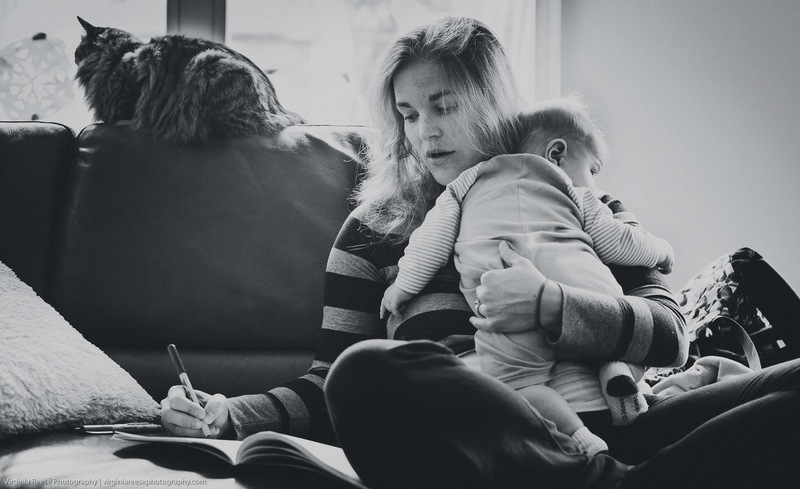 The 15 minutes or less of writing will range from journaling, to poetry, to body-based writing and will correlate to your stage in the mothering journey. The five-minute movement meditation assignments involve anything from breath work, to stretching, to dancing. We encourage you to extend your writing and movement assignments if you’d like, but we have set times as guidelines to reasonably work these practices into each day as well as to enrich your piece of this project. Along with your assignments, you will receive relative details, instructions and examples to support your practices. If you would like extra movement or writing support, Caroline regularly offers a mindful movement class for mothers and private movement training sessions in the Decatur area as well as body-based writing coaching. If you have questions about the project or for extra support, please contact her for more details. Mother to a lively and energetic 2 1/2 year old boy that is the driving force behind everything she does. 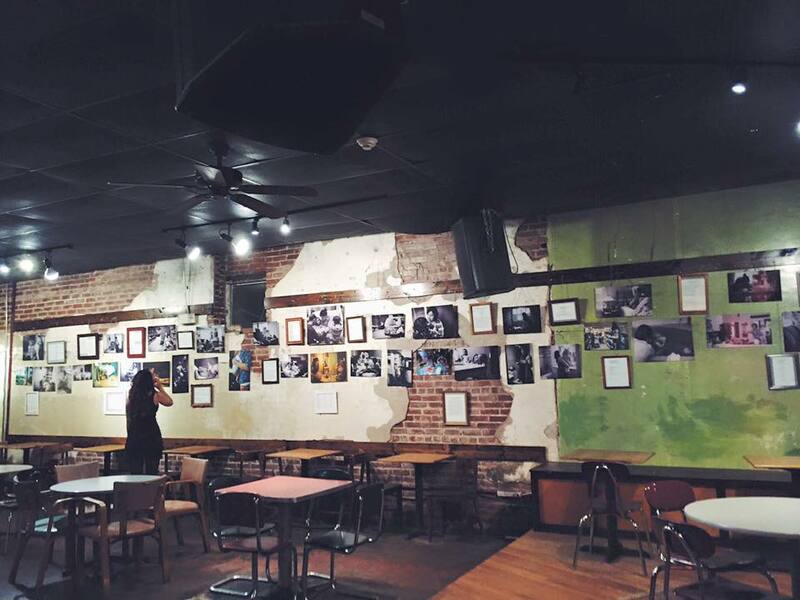 An Atlanta native who took photography as an extracurricular course throughout high school and college. She attended Elon University and received a bachelors in English with a concentration in Professional Writing and Rhetoric. Following graduation she joined the Peace Corps and served for 2 1/2 years in a small fishing village on the Senegal River in Mauritania. She has worked in a variety of fields from the restaurant industry to Wilderness Therapy. Since she has always had a deep desire to connect with people in an artistic way, and do work that will fuel her soul, she created Virginia Reese Photography Inc. She adores her work and keeps herself inspired and connected by continuing to photograph for pleasure along with her professional assignments. A mothering project has been resting in her heart since becoming a mother and she is excited to see it unfold. A lover of finding freedom through movement and words, Caroline Gebhardt created FLOW Training which teaches sustainable cross training, mindful movement and body-based writing. Caroline is a journalism and women’s studies graduate from the University of South Carolina and a Registered Yoga Teacher. After a childhood of dance, a stint in hard news journalism, and one-too-many step aerobics classes, she discovered the art of combining balanced fitness and mindful movement with writing to connect, heal and thrive. She continues to draw from a variety of yoga, movement and writing teachers and systems that focus on sustainability, alignment, creativity and intuition. Caroline believes what happens on the mat and dance floor is the sweaty, sparkly, sweet stuff. Taking it with you into the real world is where the practice, work and magic truly begin. She is the mother of a three-year-old who reflects the power of expressing all of our feelings and a baby who reminds her of the softness we can all embody.